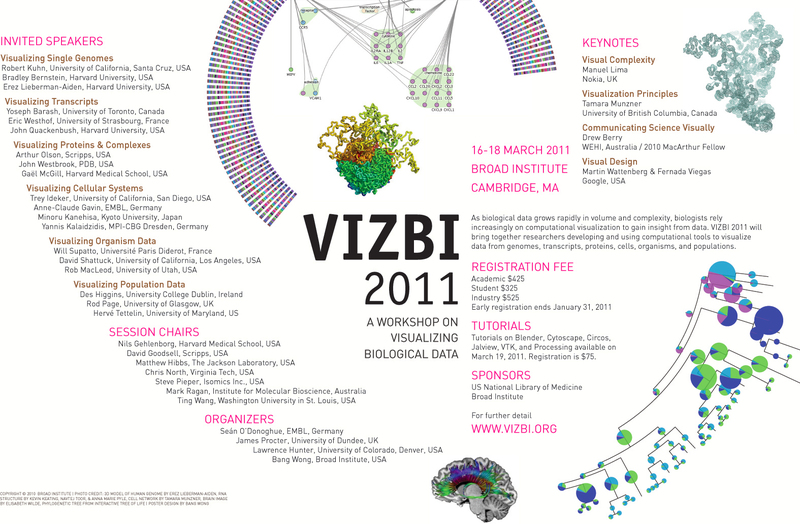 VIZBI 2011 was held March 16-18 at the Broad Institute, Cambridge MA, USA. 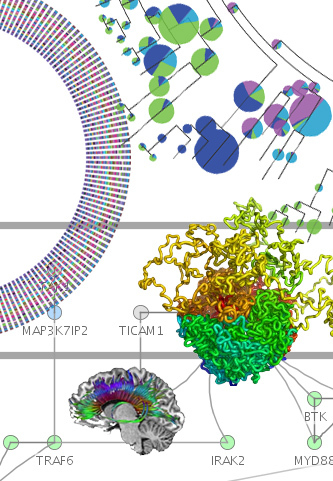 The conference reviewed the state-of-the-art and challenges in visualizing data from genomes, transcripts, proteins, cells, organisms, and populations. Funding for this conference was made possible in part by NIH grant R13LM010987 (grant.gov ID GRANT10582688). The views expressed in written conference materials or publications and by speakers and moderators do not necessarily reflect the official policies of the Department of Health and Human Services; nor does mention of trade names, commercial practices, or organizations imply endorsement by the U.S. Government.